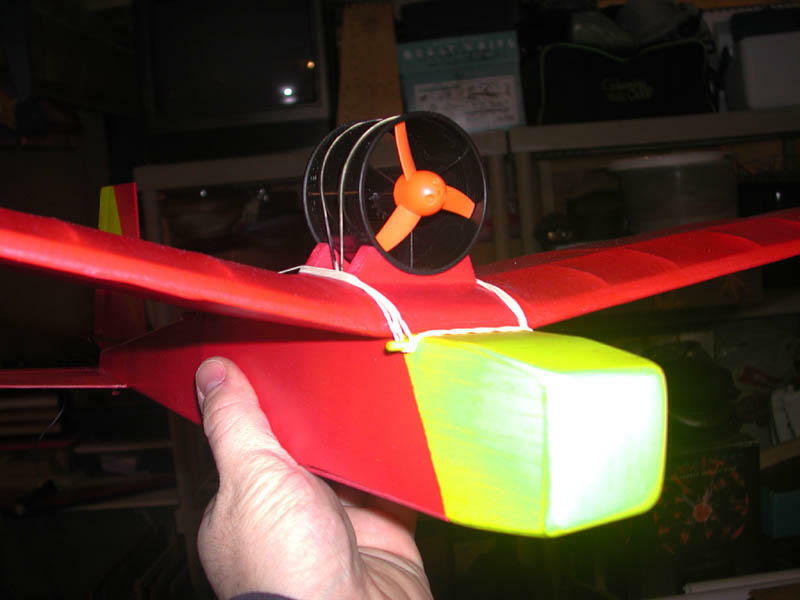 Dorked in the fuselage while trying to fly the twin (which this shares a fuselage with) indoors. I guess this one is pooched for now. I'll start over fresh with a new kit as soon as I find time. Overshot my landing and collided with a toolbox - severed the right wing panel at the root. Time to build a new wing. Flew indoors in a basketball sized gym. The EDF was way too fast. I got it down in 1 piece after a few laps, but my nerves were shot. Outdoors only for the EDF from now on! 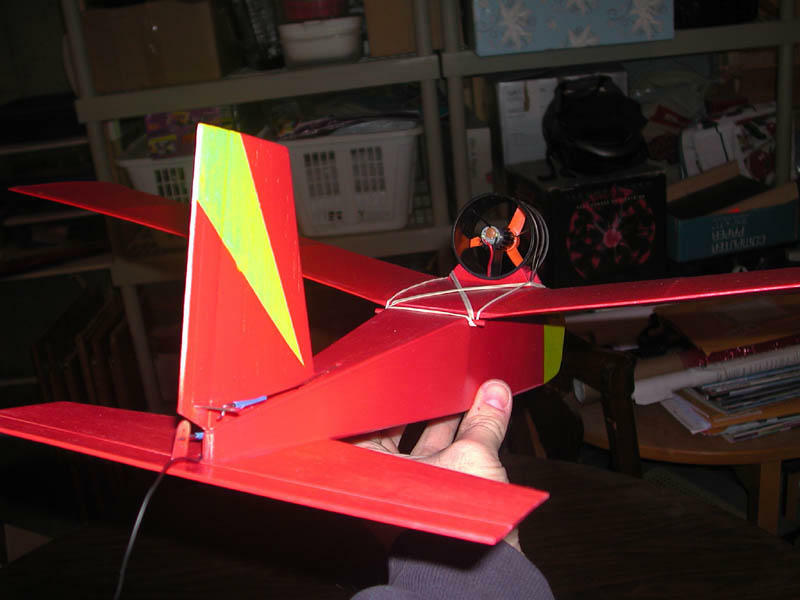 Flew at our club's New Year's Day fun fly. Winds were 7-10 mph but the little EDF handled it fine. It's a little faster than the prop version but also needs to be flown 'on the wing' more since high aspect maneuvers shrug off more speed with the EDF's lower thrust. All in all a great success! As soon as I saw the GWS EDF-50 units I knew I had to get one onto the electric mite. I always thought of using it on top of the wing like many of the early German WWII jets did. 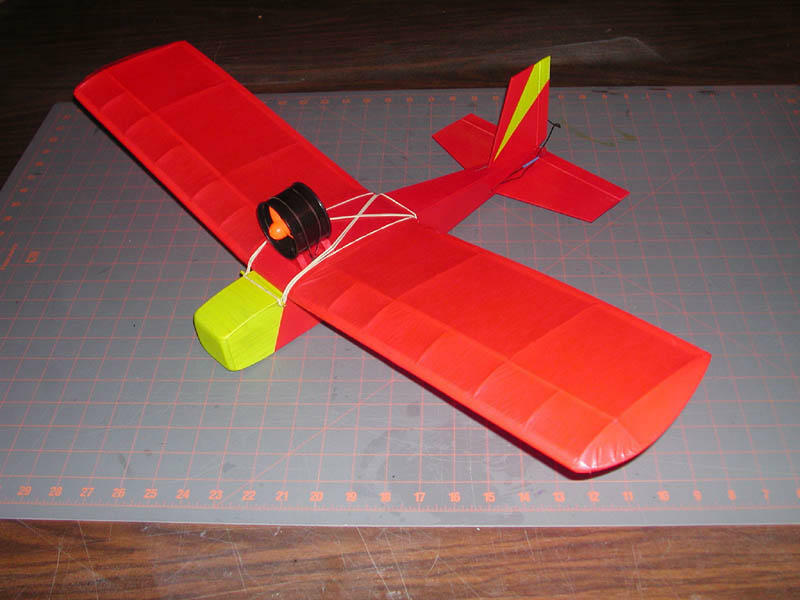 Modifications to the kit were minor: make 2 mounting brackets for the top of the wing, extending the battery compartment forward to allow for proper CG balancing, enlarging the control surfaces 33% and adding shear webs to an extra bay of the wing to help with the extra stress the wing would have at faster speeds. I also used Litespan as the wing covering to help with strength there. 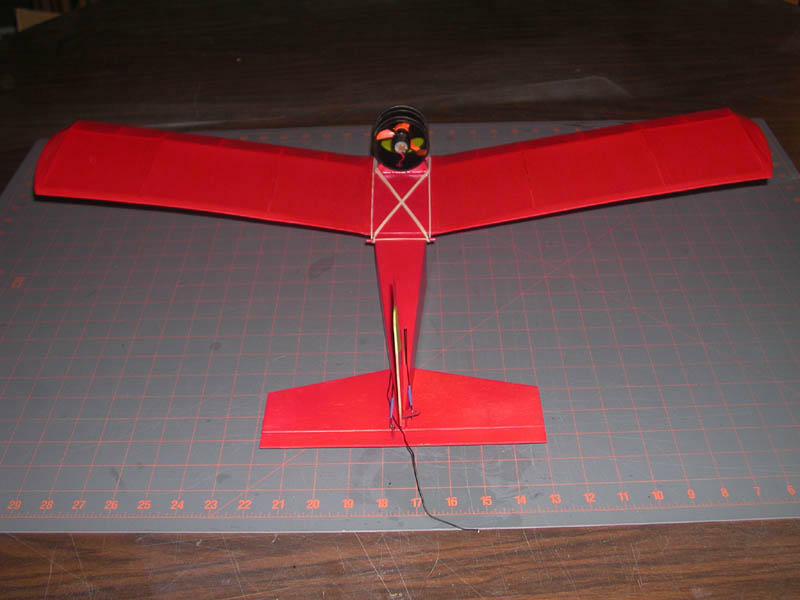 I left off the landing gear for simplicity and because I plan to fly this at the club field where the grass sometimes gets too long for the small wheels. 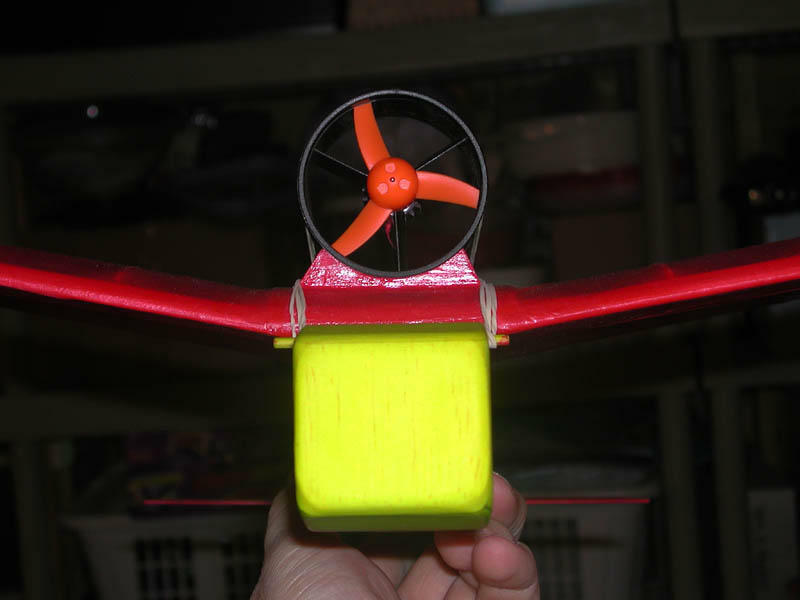 Equipment is: GWS EDF-50 Electric Ducted Fan Unit, GWS R-4P Receiver, Castle Creations Pixie 7-P ESC, 2xGWS 'Pico' Servos. All up weight with 7-Cell 280mAh NiMh battery pack is 6.6 oz. Test flights will be as soon as the wind here lets up.